I gave a talk yesterday at a part of the V&A ‘Friday Late’ events, on two pieces of furniture in their new Furniture Gallery. One of them was Chinese chair in Ming Dynasty style. I have chosen this piece of furniture because I wanted to discover myself why I am attracted by this chair – to pinpoint aspects of interests and learn more about its charm. I have read some articles on Chinese furniture in that time, to prepare and add my point of view at the talk. 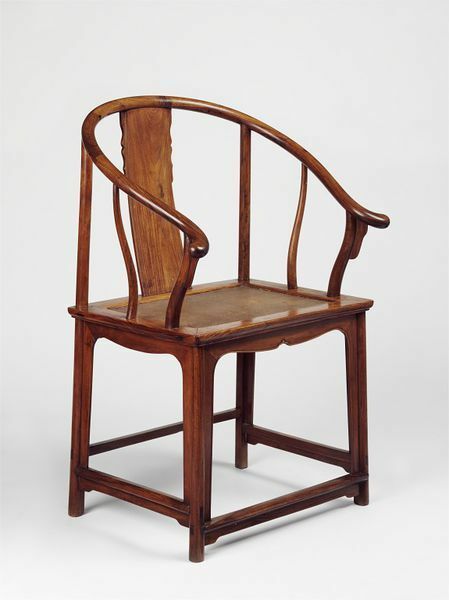 Now, after the talk I feel that I did not describe at all about the beauty of the chair… So, I would like to write it down here, for the people who did not make to attend the V&A as well. Below are the V&A’s official photos in their archive. First of all I am caught by the part of the text – Nothing is glued, but all parts are connected with Mortise & Tenon joints. The material is called Huali Wood, has similar character to Rosewood. Even structural support, such as apron and frames under the seat, are all trapped into grooves by the lower stretcher with Mortise and Tenon. The lowest stretcher has wide top and it is a footrest. At the end of Ming Dynasty, the owner of this chair must have had busy travelling life, as a hight bureaucrat who had to take care of Wokou pirates and the rising Northern nation Qing on behalf of the emperor. 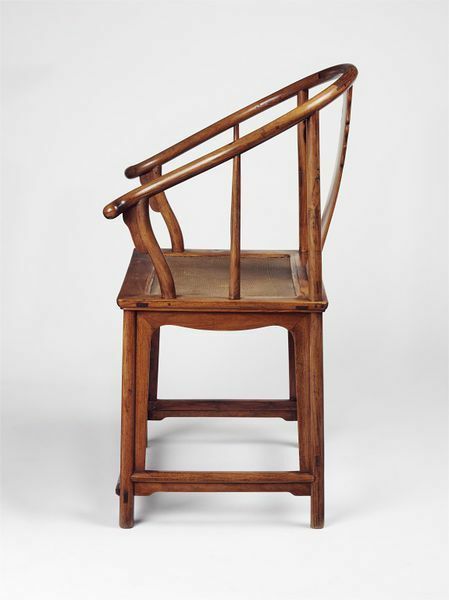 This is why the chair had to be light and flexible. In cold and dry climate the solid wood shrank a lot and the joints starts to be loosened, the chair will be wobble. You can stop it by changing the size of the wedge in those joints. The prominent large curved piece of armres-to-back is made by 5 jointed solid piece, by a technique called ‘half lapped pressure peg joint’, which was often used in Japanese temple architecture. 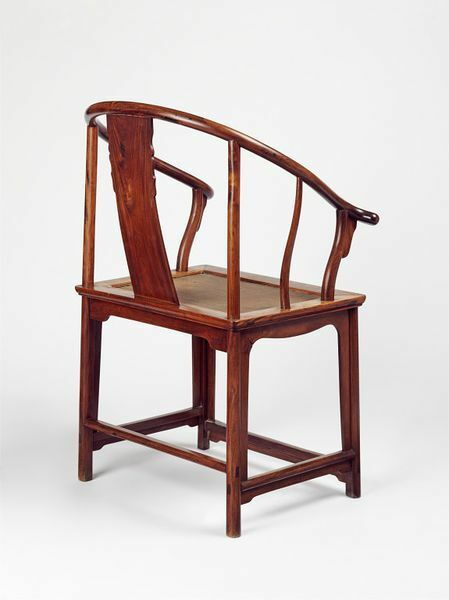 Four joints are located next to the both sides of the wide vertical back rest, as well as top of elegantly bent vertical supports of armrests. I guess these tapered shape of the supports are flexible enough to absorb the movement of wood and retained the shape of the single curving structure. The lightness for mobility, and their playful and modest decorations to disguise the structural support – these two points are making this chair charming and attract me a lot. In the future I will research its direct descendant “Chinese Chair”, designed in 1943 by Hans Wegner.